Friday, March 8, is International Women’s Day. It seems to me, unfortunately, that women in the United States do not observe this important date as much as we should. Maybe it’s because, even with the inequalities that remain in our country, we still have it pretty good — good enough to make us complacent and forgetful even, of how much we have to be grateful for and celebrate. But as the “lucky ones,” relatively speaking, I think we owe it to our sisters in other parts of the world that don’t have it so well, to observe this day and do something to help those women with less opportunity. International Women's Day March 8 2013 - will these girls have a future as adult women? Will they even survive to become women? 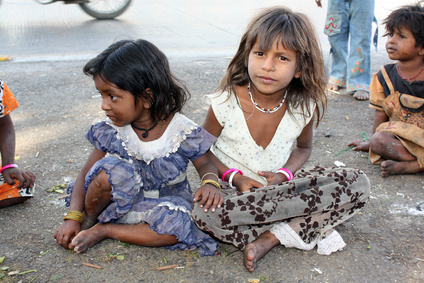 Of the 1.3 billion people living in abject poverty, the majority are women and children. With this poverty, most often comes a lack of access to clean water. In addition to the physical harm that comes with having to carry heavy loads of water (and its often not even somewhat clean water) long distances, women in poor regions with no access to running water lose a lot of time – time to take care of their children, educate themselves and their children, and time to to spend on a livelihood to improve their lot in life. But, they also lose their health, which continues the cycle of poverty because they are too sick to work at jobs or raising food. According to the WHO/UNICEF Joint Monitoring Programme for Water Supply and Sanitation (JMP), “37% per cent of the developing world’s population – 2.5 billion people – lack improved sanitation facilities, and over 780 million people still use unsafe drinking water sources. Inadequate access to safe water and sanitation services, coupled with poor hygiene practices, kills and sickens thousands of children every day, and leads to impoverishment and diminished opportunities for thousands more. 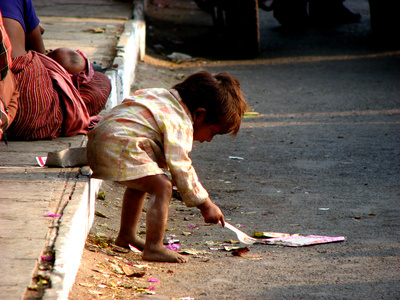 The majority of people living in poverty are women and children. In fact, every 20 seconds, a child dies as a result of poor sanitation. That’s 1.5 million preventable deaths each year. Gum Spring Library is now OPEN! 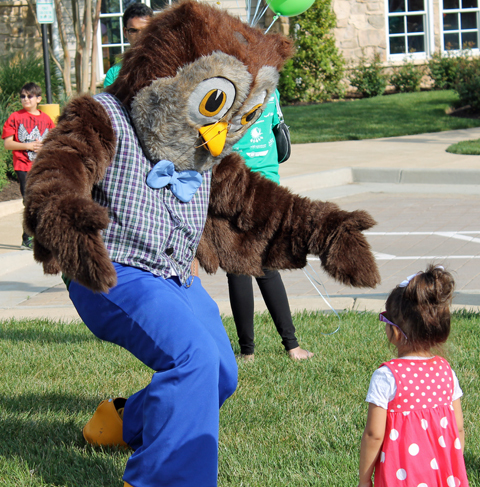 There’s no doubt that the big attraction in Loudoun County, Virginia, this past weekend was the Grand Opening of the new Gum Spring Library! 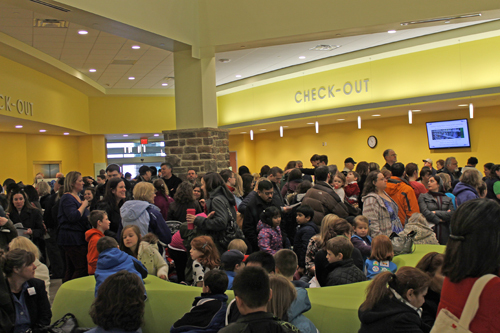 Over 6,500 people came through the door on the first day, Saturday, February 23, setting a new record for library openings in the area. Lots of people were interested in learning about the non-profit support group for the new Gum Spring Library known as the FROGS - the Friends of the Gum Spring Library. The day kicked off with a ribbon-cuting ceremony at 11:00 that included welcomes and speeches, a color guard from the local Girl Scouts, and face painting and custom balloon animals for the kids. Everyone was excited to see the neighborhood finally realize its dream of a gorgeous new library! 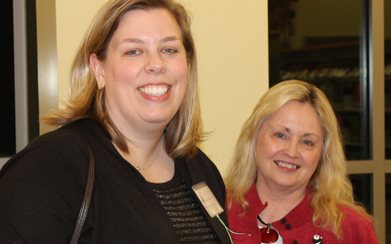 To help the non-profit Friends of the Gum Spring Library support special and ongoing programs for the library and its community, there are many options. 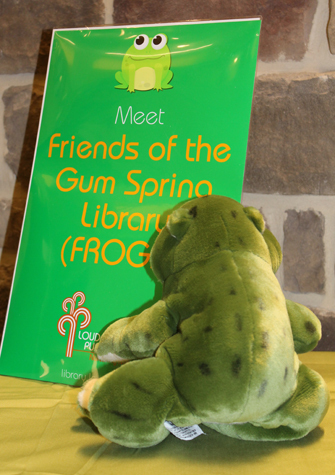 The FROGS - Friends of the Gum Spring Library - had an information table at the Gum Spring Library's grand opening. Seated is Kimber Garland-Homes. 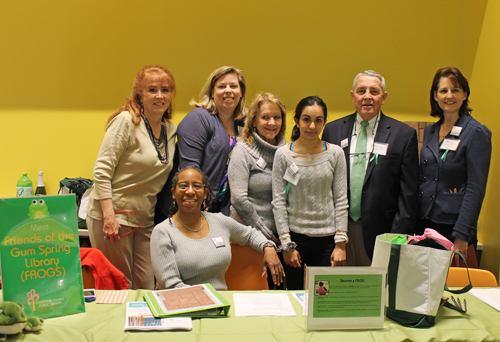 Standing from left to right is Deborah Deal-Blackwell, Angie Drews, Nancy Watford, Shriya Awasthi, Bob Lynd, and Karen Montgomery. 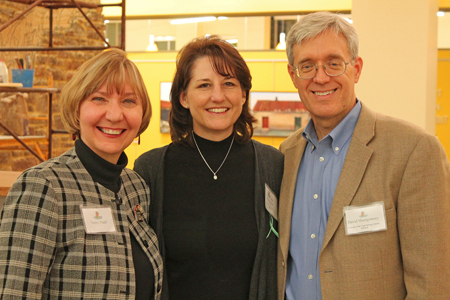 The Opening Day for the new Gum Spring Library is February 23, 2013. 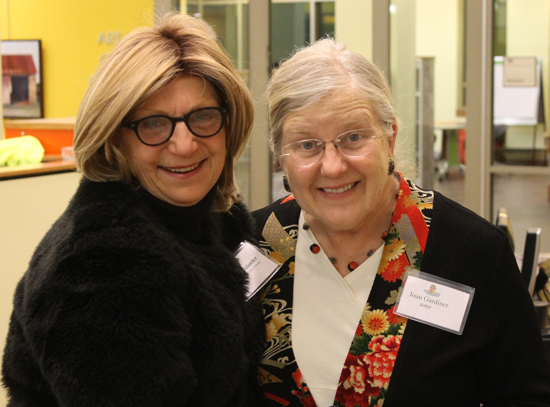 In celebration of this wonderful and long-awaited forthcoming event, and to thank the generous financial donors to the public art wall that was commissioned by the Friends of the Gum Spring Library (FROGS), the FROGS held a special pre-opening reception at the library. 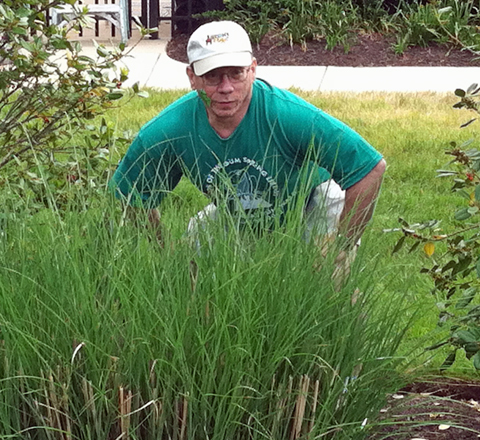 The "Riparian Zone" is under construction at the new Gum Spring Library. It was not yet finished at the time of the reception on February 18. The design and crafting of the individual intricate pieces of the art wall each take a good deal of time. However, Ms. Gardiner hopes to have it completed in time for the Grand Public Opening at 11:00 a.m. on Saturday, February 23. 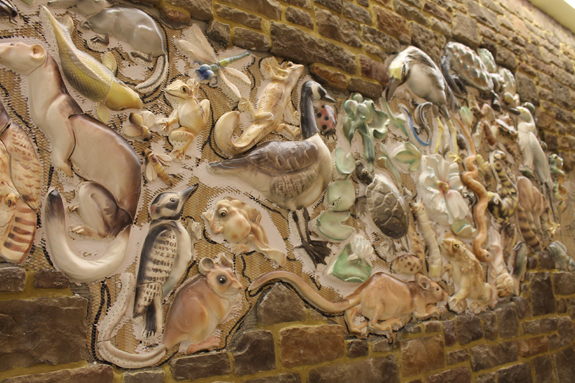 A unique and beautiful expanse of original work, “Riparian Zone” is a tribute to our area wildlife and should serve as an inspiration to future generations of library members to cherish nature’s own wonderful works of art. 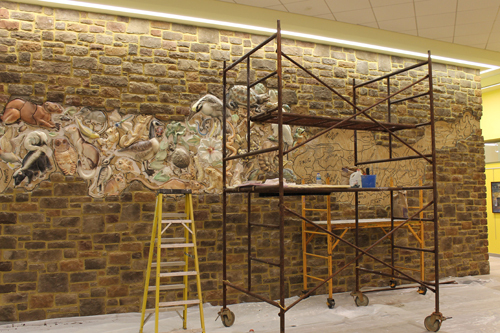 A section of the public art wall under construction at the new Gum Spring Library. The individual animals will be much more visible once the entire piece has been stuccoed. Many people helped make the installation of the public art wall possible including the architecture and construction teams. The FROGS would like to especially thank Van Metre, Aldie Veterinary Services, the Kirkpatrick Farms Home Owners Association, and the Loudoun County Library Foundation for their financial contribution. Be sure to stop and admire this wonderful example of original art from a local artist when YOU visit the new Gum Spring Library. A piece of Joan Gardiner’s “Riparian Zone” ready to be placed on the public art wall at the Gum Spring Library. 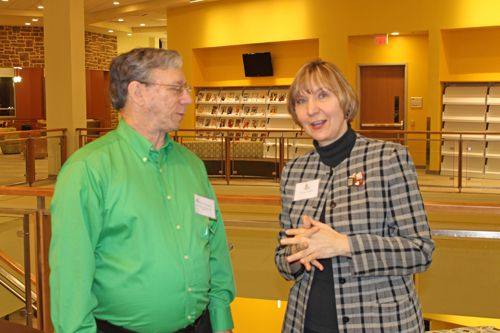 FROGS' Bob Michaud with Nancy Nuell. 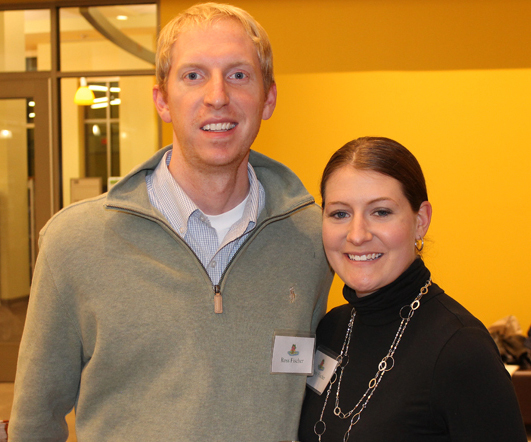 Ross & Tiffany Fischer enjoy the new library! Friends of the Gum Spring Library (FROGS) members Shriya Awasthi and Kimber Garland-Homes are happy to see the library finally opening! Art Patron Aimee Luce from Aldie Vet and John Gardiner enjoy Joan Gardiner's work. 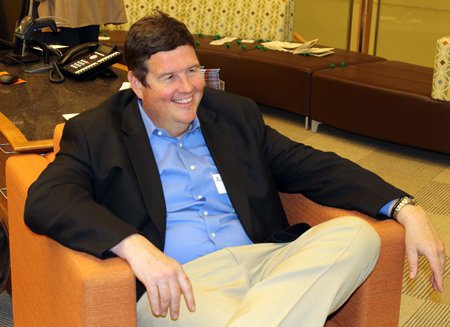 Gum Spring Library Branch Manager John Huddy takes a break. Enjoy it now, John. You may never get to sit down and relax again! 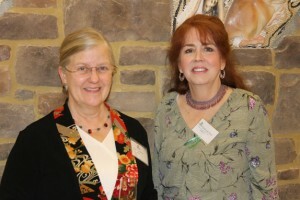 Artist Joan Gardiner and FROGS member Deborah Deal. Linda Holtslander, Community Relations for Loudoun County Library, and artist Joan Gardiner. 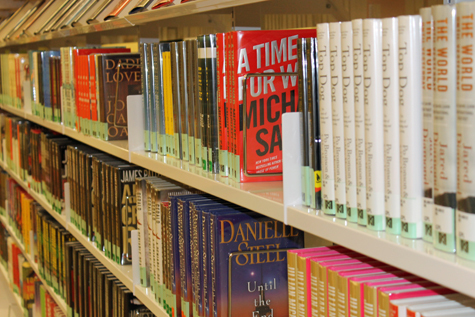 The "stacks" at the new Gum Spring Library are stuffed with the latest and most popular titles. 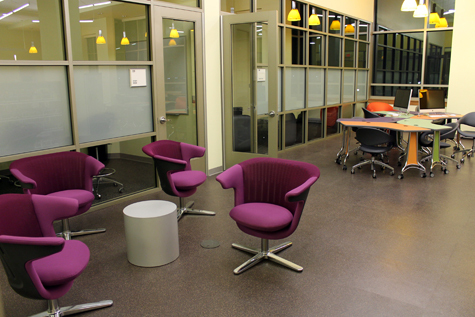 There's plenty of comfortable seating at the light-filled new Gum Spring Library. 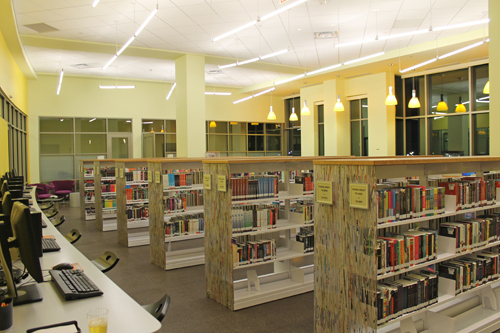 The new Gum Spring Library offers an entire section that's devoted exclusively to teens. 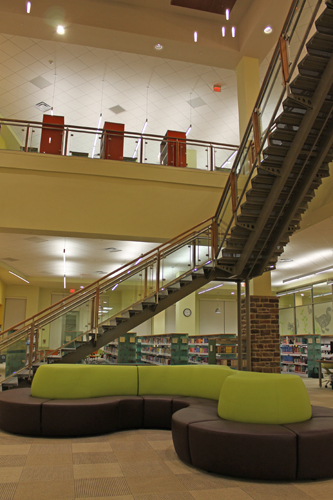 There's room for teens to just (quietly) hang out in their own section of the library. 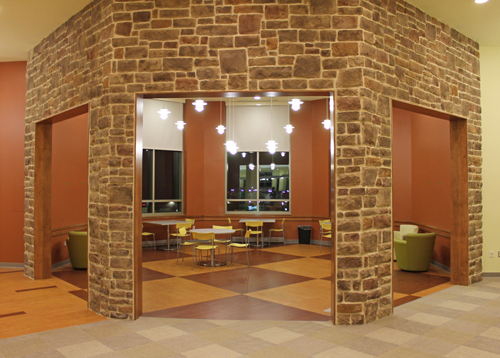 The "library cafe" at the new Gum Spring Library. 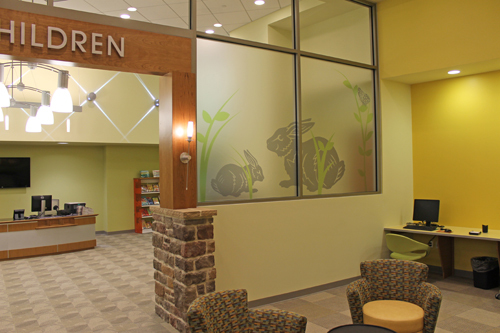 Kids have their own special and separate section at the new Gum Spring Library. Pictured is the entry to the Children's section. 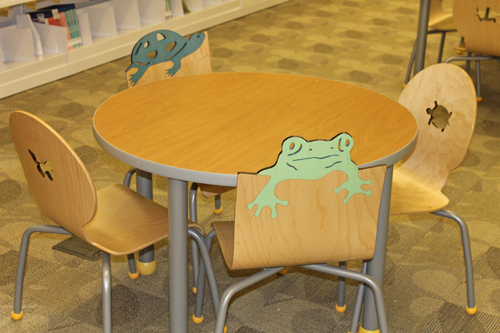 Everything is "to scale" for the littlest readers - even the adorable furniture. 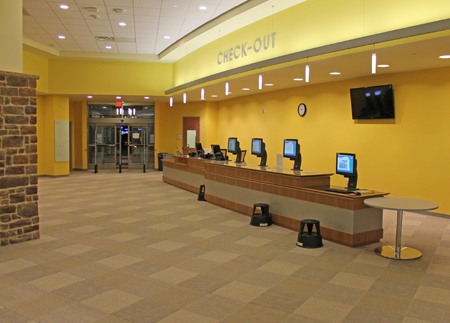 The new library features a beautiful open floor plan. 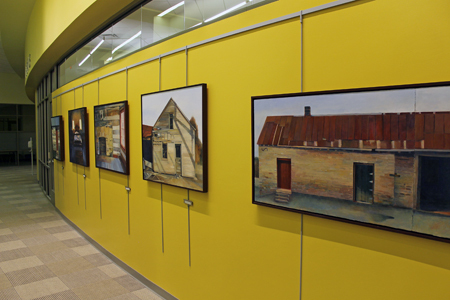 In addition to the "Riparian Zone" art wall created by Joan Gardiner, the library also features a wall of paintings depicting local history. 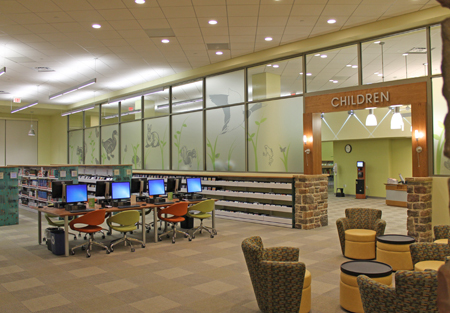 The Children's section features natural scenes on the divider windows. The "Check Out" desk stands at the ready for the crowd expected on Saturday morning, February. 23. A great dog and wonderful friend passed away this morning – August 30, 2012. 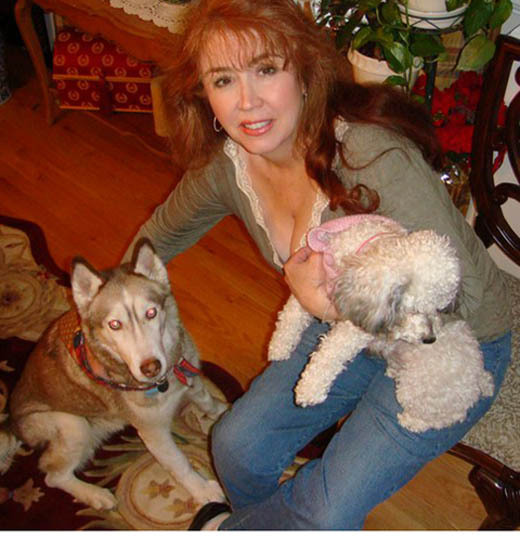 Anastasia Deal (the full-blooded Siberian Husky on my left here) was 14.5 years old. 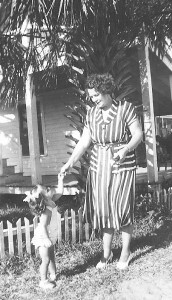 She was born in Casadega, Florida – which is a famous spiritual retreat. There was something magical about her from the start. She wasn’t just a dog – she was a contributor to life at home and work. Her father was a Siberian I tracked down and rescued right off the streets of south Orlando. 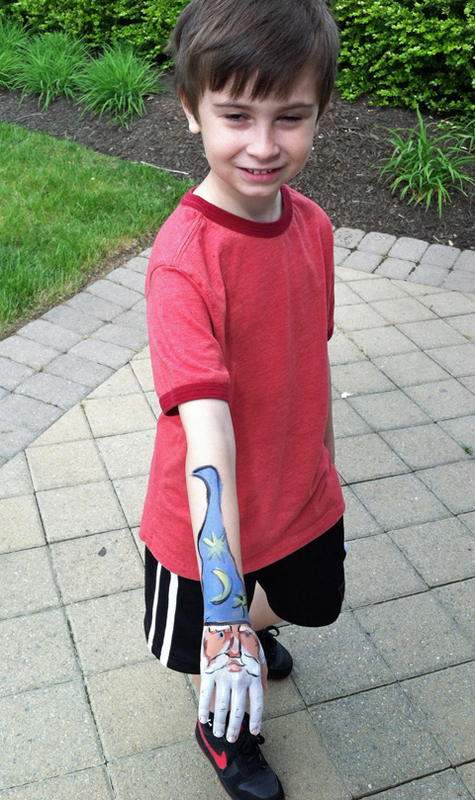 I gave her Dad – we named him “Chase” because I had to chase him down to save him – to a friend. The friend put Chase with HER sister’s Husky and I got the pick of the litter, which was Anastasia. Anastasia drove all the way across country with me in the move from Orlando to Seattle back at the turn of the century. The trip took 7 days. She was a trooper and very well behaved, watching every mile go by from her spot in the truck. She was very “interested” in everything and everyone. She used to go to work with me at Angel Flight Southeast and would personally greet and oversee all the volunteers that came in. I remember one time at Angel Flight a group of us were talking in a circle in the lobby and when there was a lull in the conversation for just one second, Anastasia burst into the circle and started “talking” to all of us. She wanted us to all know her opinion of the situation. Of course, we couldn’t understand her “wooo woooo woooos” but everyone agreed with her and patted her on the head for her input. 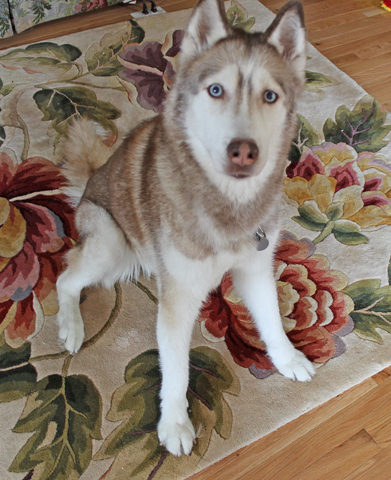 She was known for her beautiful blue eyes ... people would stop us on the street and ask if she was a wolf or a dog. I said a wolf on the inside, a dog on the outside and a best friend throughout. She was very much a “watcher” – she loved to go to the windows and look out. When outside, she could stand and just stare down the street taking in everything that was going on. But, she used her nose as much as her eyes. That nose was always sticking into something – grocery bags, my briefcase, my purse, the grass … she loved sniffing the grass. It was as if she was “reading the newspaper” and interpreting everything that had happened in that patch of grass over time immortal. She was around and watched over both Mom and Dad when they were sick before they died. She has just always been there – ever watchful, always “supervising” the events of the day. I do believe she’s still watching over me now … rest in peace my furry girl. You will always be loved and I miss you so already! My Mother would have loved to have some of this. She was a great fan on Kate Greenaway’s artwork. We had black and white illustrations that she colored in with colored pencils and then framed. This could be used in any number of ways for a little girl’s room or even on clothing. Would also work in a grown-up’s Shabby Chic or Retro or Victorian room. Check it out on Spoonflower! Shop for lovely pin and earring sets for Mom at our Ebay store. 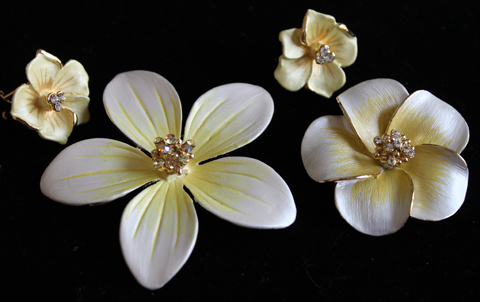 Take a look at our beautiful pin/pendant & earring sets on Ebay! Click here to see the entire list of our beautiful fashion jewelry! 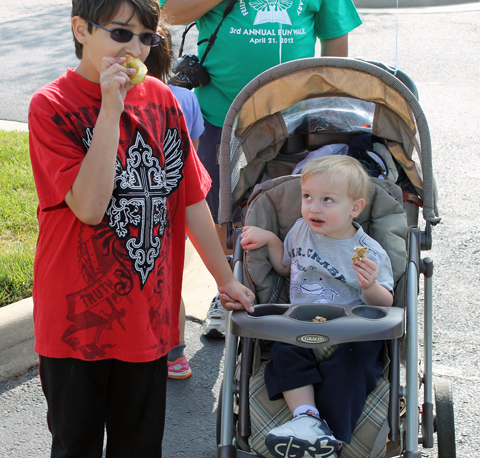 Last year we braved a cold wind and overcast skies to hold our annual Family Fun Walk for the Gum Spring Library. But, this year, we got a big reprieve. 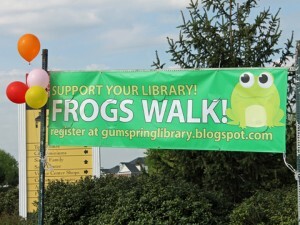 There was something for everyone at the 3rd annual FROGS Family Fun Walk on April 21, 2012 for the new Gum Spring Library! 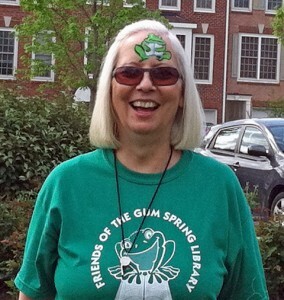 The storm that would dump several inches just to the north of us, and plow us into 48 hours of (needed) rain, mercifully held off just long enough for the FROGS (Friends of the Gum Spring Library) to enjoy a beautiful day for our 3rd annual event. 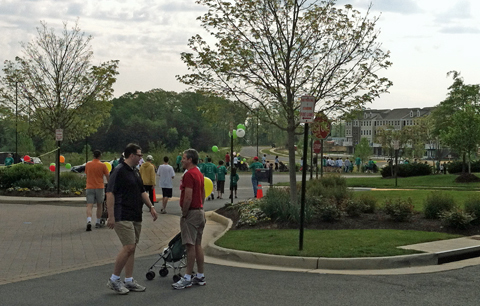 Walkers and participants in the 3rd Annual "FROGS" Family Fun Walk enjoyed great weather. Every year walkers get a t-shirt, a goodie bag stuffed with items from local businesses, fruit, snacks and water. 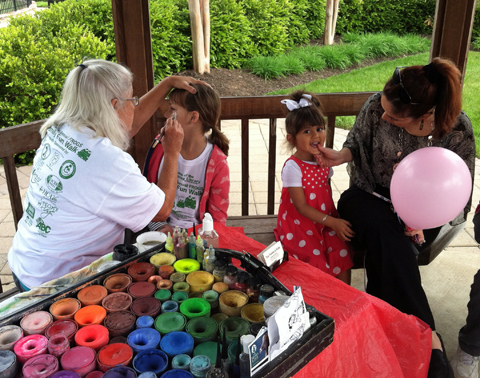 The moon bounce is always popular and the participants are happy to wait in line for chance to get their faces expertly painted by our “face artist.” This year, we even had LIVE entertainment provided by Bach 2 Rock! Another successful Family Fun Walk for the Gum Spring Library. We can’t wait until NEXT year when the library will be open and we can all retire to the stacks after our stride through the neighborhood. We had a looooong line of walkers! It was quite a sight! PLAN, PLAN, PLAN way in advance. 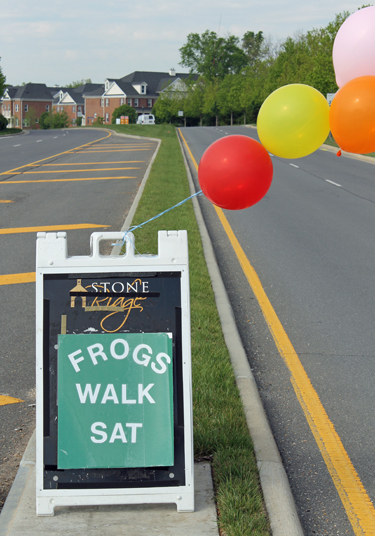 The FROGS start working on their April Family Fun Walk event in December! Everybody waited patiently for face painting! make sure they can still carry out their assignments. If you don’t provide specifics for completing a task in advance, don’t nag about how that task is achieved after the fact. Volunteers don’t appreciate micro-managing when its too late. Instead, make a note on how that task should be achieved for whoever gets that task next year. 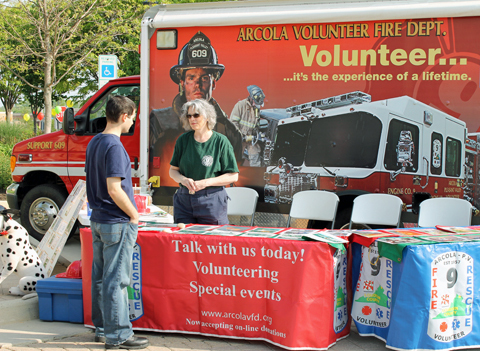 Take advantage of as many area newsletters, magazines, newspaper listings and area cable TV listings as possible to get the word out about your event. And make sure you create and utilize an email invitation list of everyone you know. If you provide a way for the reader to opt out of future emails, they generally will not object and usually will not opt out. Don’t forget clean-up. Leave the area the way you found it. Have a post-event de-brief. Take good notes and keep those notes where they can be pulled out for the next event and read again. Think of as many ways as possible to THANK YOUR SPONSORS – that is, only if you want them back next time! 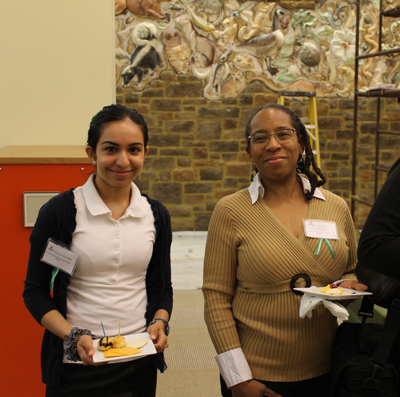 Everybody was in a great mood and enjoyed the event. 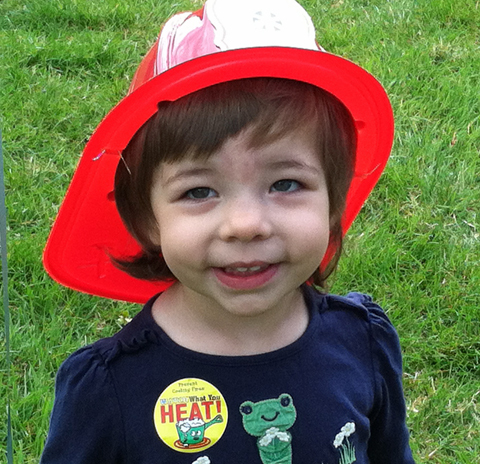 A very BIG Thank You to Vocelli Pizza and Arcola Christian Preschool! 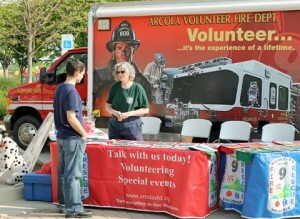 Walkers could sign up in advance of the event or on-site right before the walk began. 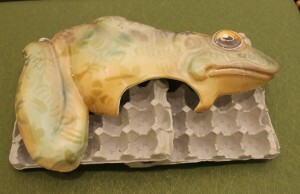 A FROG board member thinks he really IS turning into a Frog now! He's practicing his frog pounce position. 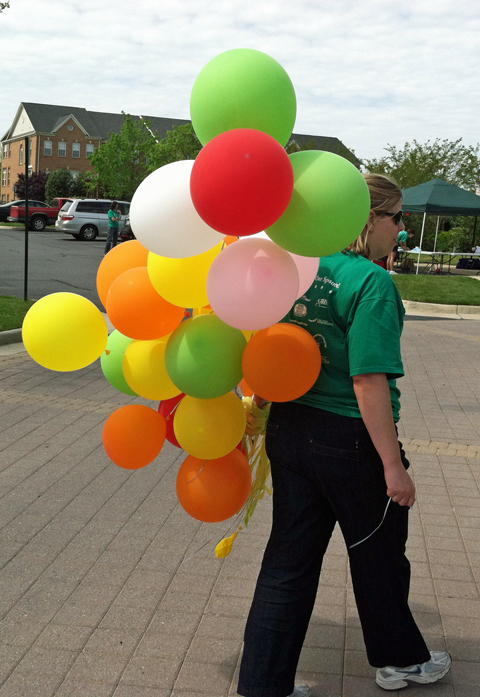 Always have lots of balloons for a Family event. Face painting is sometimes even better on something other than the face! I'd rather have what you're having! On Saturday, April 21, our 3rd annual Family Fun Walk for the new Gum Spring Library gave everyone something extra to celebrate this year – the library is ACTUALLY, FINALLY, BUILT. Hooray! Karen Montgomery, president of the FROGS (Friends of the Gum Spring Library)has been dreaming about, cajoling and working hard for over ten years to get it built and now its here! The long-awaited Gum Spring Library is finally built and the interior is being finished. 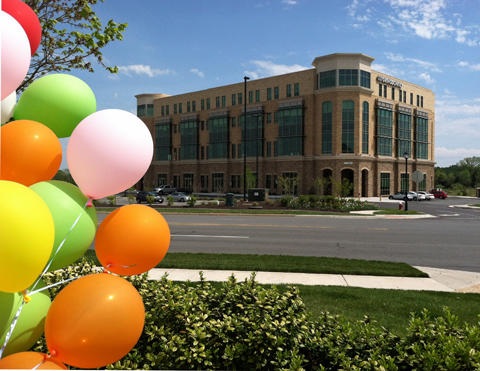 The Van Metre development company, which built many of the homes closest to the site of the library, built the gorgeous four-story building and has set aside the first two floors – 40,000 square feet – for Loudoun County to house its newest book and media collection. 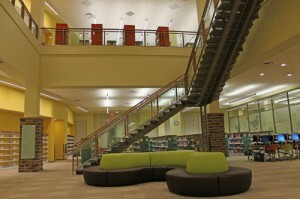 Scheduled to open (hopefully) before Christmas 2012, the Gum Spring library should be the most striking of the 8 libraries in Loudoun County. A big open staircase is right in the center and lends a certain “Wow!” factor. Cozy nooks by the bay windows provide an escape into the user’s tome or a view of the lush Loudoun countryside. 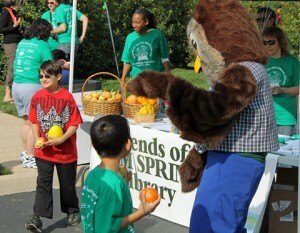 There's dancing on the lawns (and at the Family Fun Walk) because folks are so excited about the new Gum Spring Library! The Gum Spring Library features not only a section with adult-age books but three separate sections for children as well. There is a special section for the youngest children, a section for “tweens” and a section for teens. Each section is designed especially to accommodate their reading interests, physical size (with appropriate furniture) and noise level – thus making sure every library user has a place that’s perfect for them! In addition, there is a “Quiet Cafe” where you can take a book and enjoy a beverage, and meeting and class rooms of various sizes. One of Loudoun's many happy library fans. 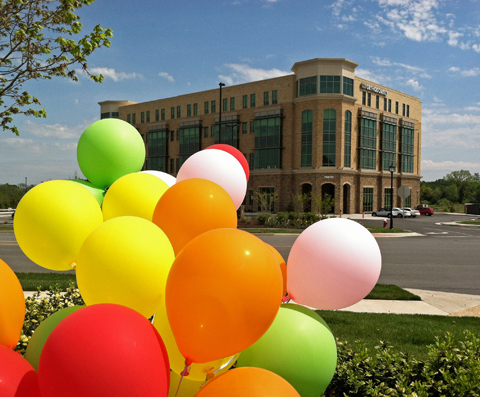 number one median household income income in the entire U.S.($119,540 in 2010), Loudoun’s residents are undoubtedly industrious, hardworking and dedicated to making a good life for themselves and their children. And, reading is a key essential of that lifestyle. 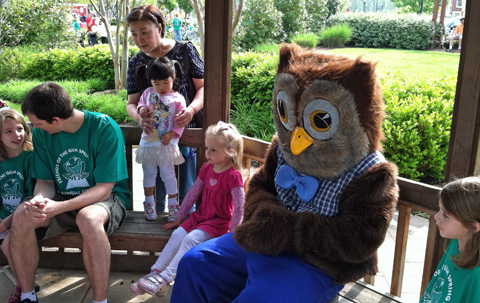 It’s important to Loudoun’s families that their children get a solid education and so, of course, as they say – Reading is FUNdamental! 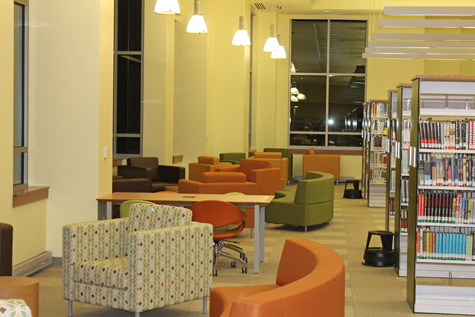 Come by and see the beautiful new Gum Spring Library at the intersection of Route 50 and Stone Springs Boulevard. See our companion post about the event! 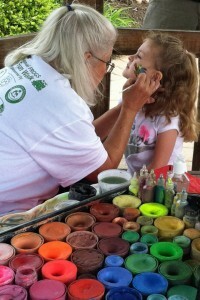 The face painting artist did an excellent job. Spring has Sprung. Simple Gardening Advice. Spring actually started “springing” back in March. (Sorry it has taken me a while to get these photos up – which were taken last month.) We had so little “real winter” here in Northern Virginia that Spring didn’t exactly make a grand entrance – it just sort of “occurred” to us one day. Big entrance or not, I was still glad to see it arrive. It meant I didn’t have to shuttle my precious houseplants in every night after a day of sunning on the deck. Up close and personal with one of the vines climbing up over my backyard deck. With good reason some people might think I’m a nut case for plants. But I just can’t help it. Many of my ancestors were farmers and I think it runs in your blood. I don’t have too many memories of my Grandma Dora but I do recall her sacred African Violet collection and a large garden out the back of the pastor’s residence where she and Grandpa Bob, a hell-fire Methodist minister, spent their last months. Even with horrible arthritis and a bushelful of other ailments, she was out in the yard skirt hiked up, socks falling down around her ankles, apron spotty from the day’s cooking, tending to peas, carrots, tomatoes, beans and more. 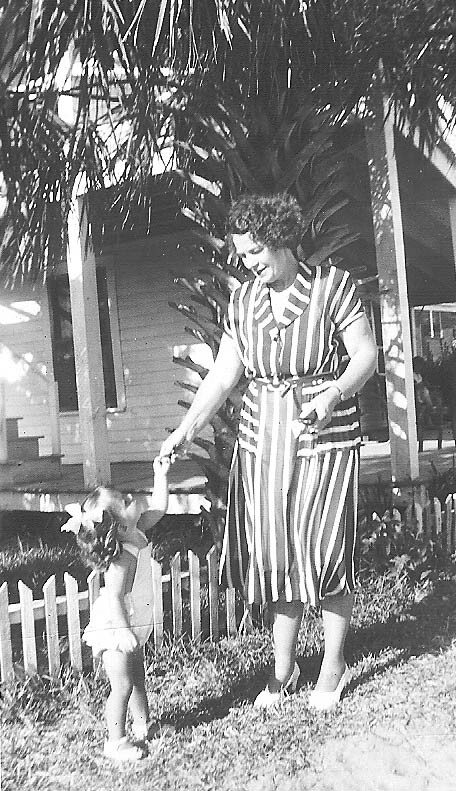 Ever the lady, Grandma Dora was always in a dress - even while gardening. Here she is with me at the beach house at Tybee Island close to Savannah. That is, I THINK she's with me ... could be my cousin Diane! 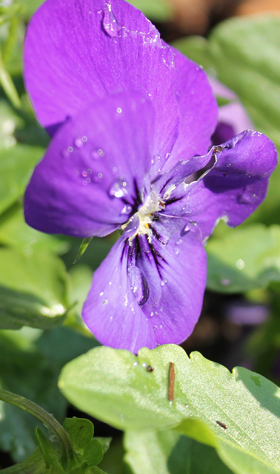 Or she was inside making sure her babies got just the right amount of African Violet fertilizer-infused water – only on the soil, NEVER on the leaves, which could only be dusted. The other day, in my sundress out in the yard, tramping around in my too-good-to-be-worn-in-the-yard Clarks loafers, nails as dirty as my apron, I recalled my Mom announcing I was merely the reincarnation of a combination of my two grandmothers, both the good parts and the bad. But I digress as I always do … a nut case for plants I am. And I should share some of the relative little knowledge I have about them as it comes to me. So that’s what I’ll try to do going forward. A little patch of Gardening pleasure next to the driveway. Don't overplan your venture into gardening if you are new to it. Just get started. or a home filled with lush greenery, or a dish of vegetables or fruit fresh from one’s own property are romantic? Hah! Didn’t think so. 1.) The first thing is don’t over think it or make a big deal out of getting started. Gardening and houseplant keeping should be enjoyable. Don’t think that you can’t get started without a big investment of time and funds. 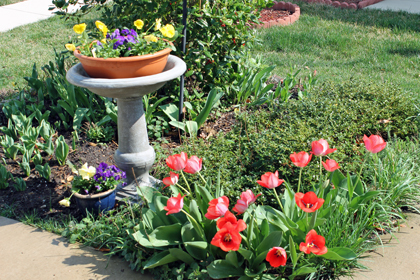 Start small with a few plants or a small patch in the yard. 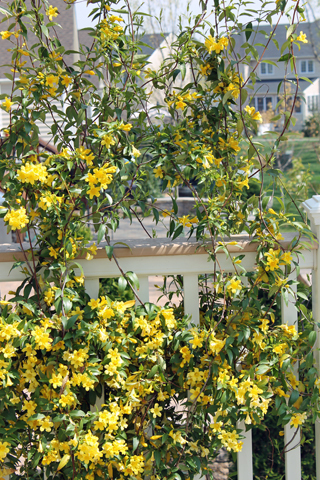 Or try growing a few vegetables in pots on your deck or patio – even out your front door. Just get started. 2.) Do realize that successful indoor or outdoor gardening does involve some level of SIMPLE commitment. You MUST keep everything hydrated. (Don’t murderer your plants by forgetting to water them when they need it.) 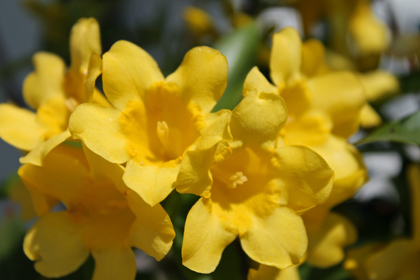 You MUST bring in potted plants from frosty evenings or a cold snap. With no temperatures low enough to kill back some species, it's like we never had winter - at least not for this beauty on my deck. 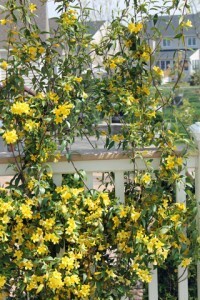 And that’s the beauty of gardening – in addition to the obvious beauty of the plants themselves. It’s the surprise. Will it work? Will the seeds sprout? Can you get those tomatoes from little seeds to a proud place in a salad for your friends and family? Will those roses bloom, and will they do it more than once this season? Great fun. Great satisfaction. Ah, gardening. 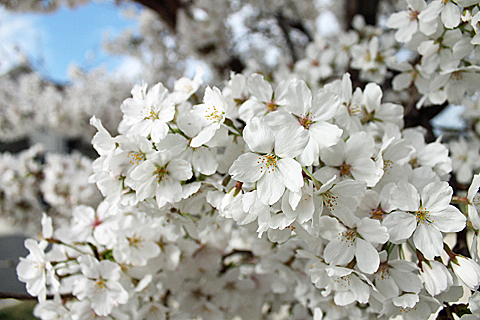 Yes, Spring has sprung … hooray! 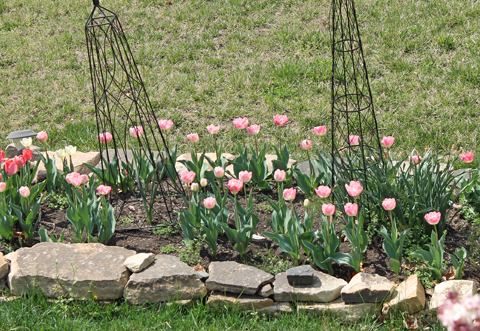 I didn't get my tulips planted for this Spring until January! But they came up anyway. Sometimes Mother Nature is very forgiving. 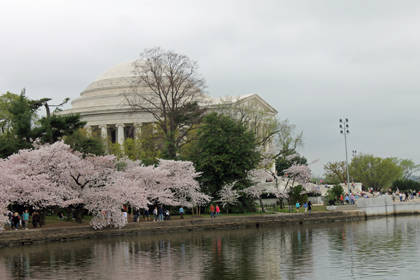 After living FOUR years in Northern Virginia – just a 45 minute drive as the crow flies, if we could fly and not drive – I FINALLY make it to the D.C. tidal basin to see the cherry blossom trees do their thing! Only for a few minutes did the sun come out and the sky clear on the day that my friend Len and I made it down to the tidal basin for a picnic. But, it was worth the trip anyway! There are different types of Cherry Trees - some look white, others pink. It’s hard to believe that its already been 100 years since the Mayor of Tokyo, Japan made the official gift of 3,000 of these beautiful trees to the city of Washington, D.C. 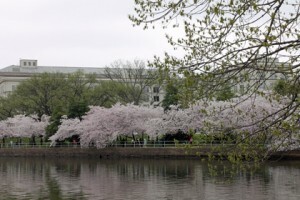 The first two trees from Japan were planted in a simple ceremony on March 27, 1912, by First Lady Helen Herron Taft and Viscountess Chinda, wife of the Japanese ambassador. 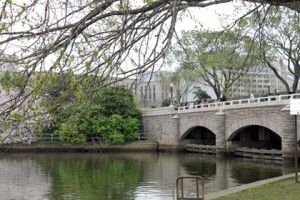 They were planted on the north bank of the Tidal Basin in West Potomac Park. The original gift and annual celebration honor the lasting friendship between Japan and the United States. 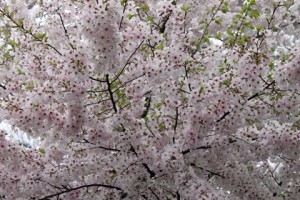 Its such a sight that the U.S. National Park Service has a “bloom cam” and goes to great effort to forecast the time the trees will be at their peak – when 70% of the blooms are open. The celebration in D.C. is multi-faceted and stretches for days; occasionally, like this year, the celebration outlasts the bloom period. Indeed, this year, the Parade was held long after the trees had peaked. Oh well, having the parade synchronized with the blooming time isn’t that important. What’s important is that Spring has Sprung and its a beautiful and romantic time to be in D.C. If you missed it this year, make plans for next year. Don’t be like me and let work and daily chores get in the way of witnessing one of nature’s most lovely displays! It’s a shame it took me four years to get into the city to see it …! 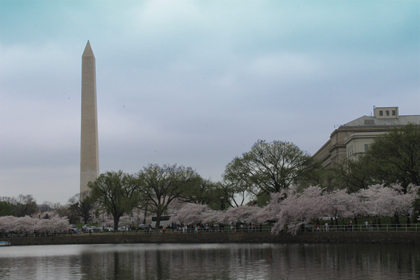 For more information about the annual Cherry Blossom Festival, visit the official site. Halloween is a great time to dress up and party!